Originally printed on December 8, 2016. BELL Peacefully, at Victoria Hospital, Kirkcaldy, on Tuesday, November 29, 2016, Ian, beloved husband of Mary, a loving dad of Pauline and the late James, Robert, Ian and Colin, also a dear grandad and great-grandad. Funeral service to be held at Kirkcaldy Crematorium on Thursday, December 15, 2016, at 3 p.m., to which all family and friends are invited. 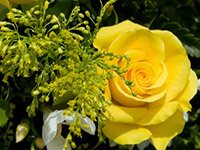 Family flowers only, please, donations may be given, in lieu, at the Crematorium for Chest Heart and Stroke Scotland.